Approximately 12 million years ago when I was a mere slip of a girl, I had a Saturday job on Warburton Street in Didsbury. I worked for Morten’s Bookshop doing the lowest paid job in the history of the world. It did however mean that for years after, I had a Rain-Man style ability to name the author of any book you could think of. That’s gone now. These days I can barely name the people I’m actually related to, but I digress. Last week Harriet & Dee invited me back to the second most famous cobbled street in Manchester, (the first being Coronation Street, obvs) to have a look at their range of Coeur De Lion jewellery and have a gander around their gorgeous, glittery Santa’s grotto of a shop. They also said something about Cava and mulled wine, but we all know I rarely touch the stuff (what? Don’t look at me like that). Harriet & Dee is a gorgeous boutique gift shop, there’s one in Didsbury and one in Chester. I frequent the Didsbury one and it’s a cracking little shop with a really interesting and well sourced array of cards, gifts and jewellery. It is like no gift shop I’ve ever been in. I basically walk in and just mutter “I want that, I want that, I want that” under my breath all the way round. I do love what Harriet & Dee have done to Warburton Street; they’ve taken the lead in turning a little hidden corner of Didsbury into a sparkling gem. The Christmas lights and displays along the lane are beautiful and really stand out against the corporation lights on Wilmslow Road. It’s a festive treat just walking past. Being teacher’s pet (Who Sir? Me Sir? Yes Sir), I was first through the door to meet an affable chap from Coeur De Lion. He showed me some of the Coeur range, talked me through the ethos and history of the company and even (get this) let me touch some. 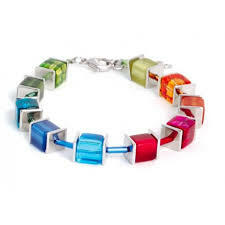 For those not in the know, Coeur De Lion is a German jewellery company who hand make all their pieces in Stuttgart. Their jewellery is stunning and right up my cobbled street. It’s simple, colourful and versatile. To be honest I could sit here and struggle, like I am now, trying to find words to describe them, but life’s too short, just have a look at these pictures instead. I love the style and simplicity of the pieces. A lot of them could be every-day wear which you can dress up or down. 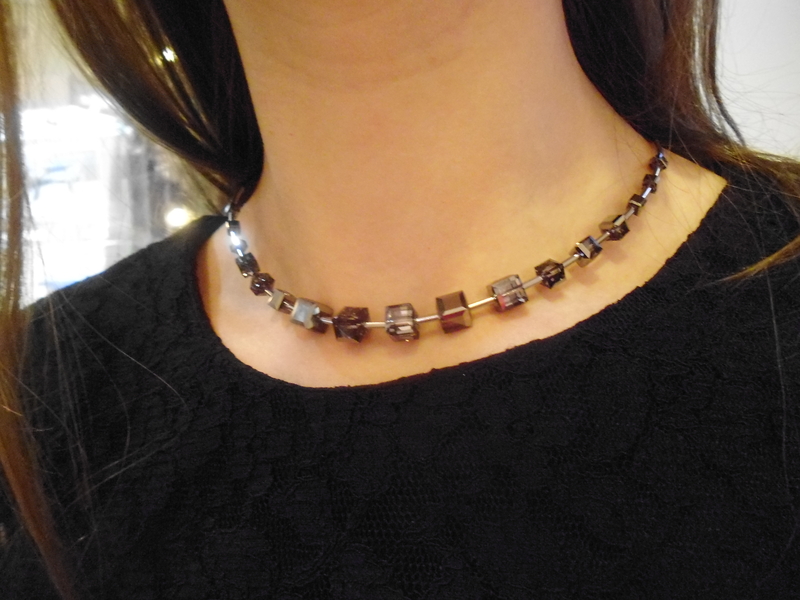 I’m not much of a jewellery wearer, but Coeur De Lion is so different, special and eye catching I quite fell in love. It’s also not hideously expensive. I have a brochure at home and I’ve already been through and circled what I’d like Father Christmas to bring me, that’s if he thinks I’ve been a good enough girl. After I’d finished coveting shiny, gorgeous things, I tottered across the cobbles to the gift shop part of the Harriet & Dee empire. It was there I was forced, yes, FORCED to drink my first mulled wine of the season. 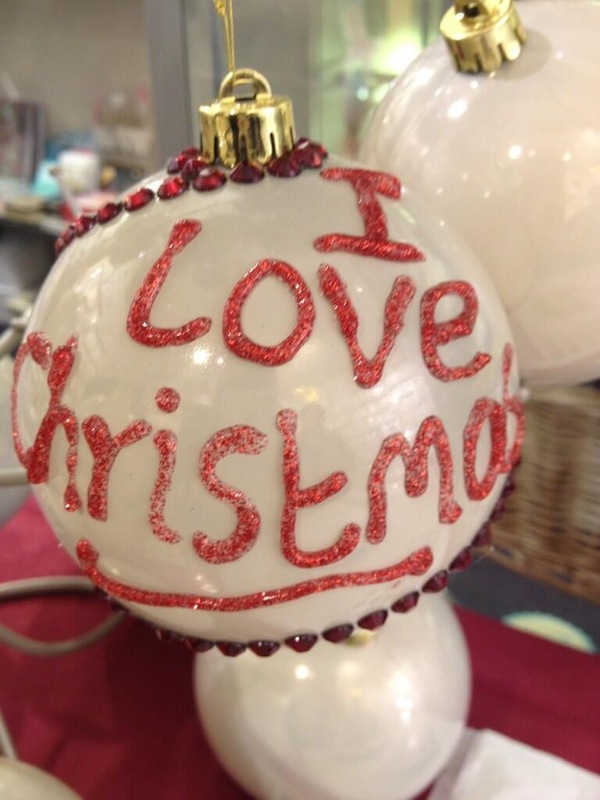 I exchanged disdainful glares with Laura the shop cat and then decorated a bauble. Now, I’m not very arty, but I was quite pleased with my efforts. If anyone wants to make me a Dragons Den style offer, I’m happy to discuss rolling out a range of baubles along similar lines. Or not, it’s fine. So, if you want to start feeling festive, get yourselves down to Harriet & Dee. If you’re lucky Laura (the cat) might deign to say hello. Whatever you do, keep your eye out for my range of wonky baubles (not) coming soon to a shop near you! This entry was posted in Didsbury, Manchester, Shopping and tagged Coeur De Lion, Didsbury, gifts, Harriet & Dee, jewellery, Manchester. Bookmark the permalink.